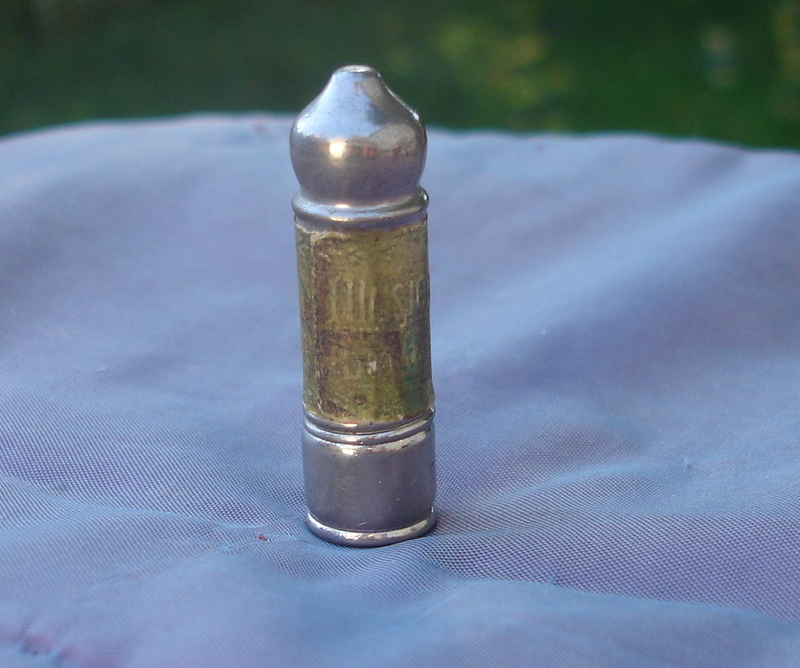 Description: Aluminum bullet shape lighthouse container, stands just 1 1/2" tall. 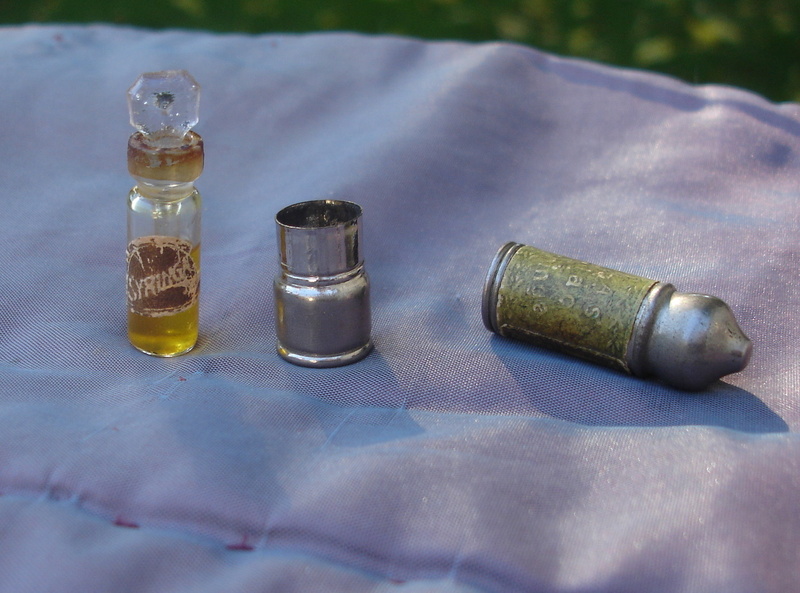 Includes the tiny bottle, with label and still contains its fragrance. Stopper is stuck. 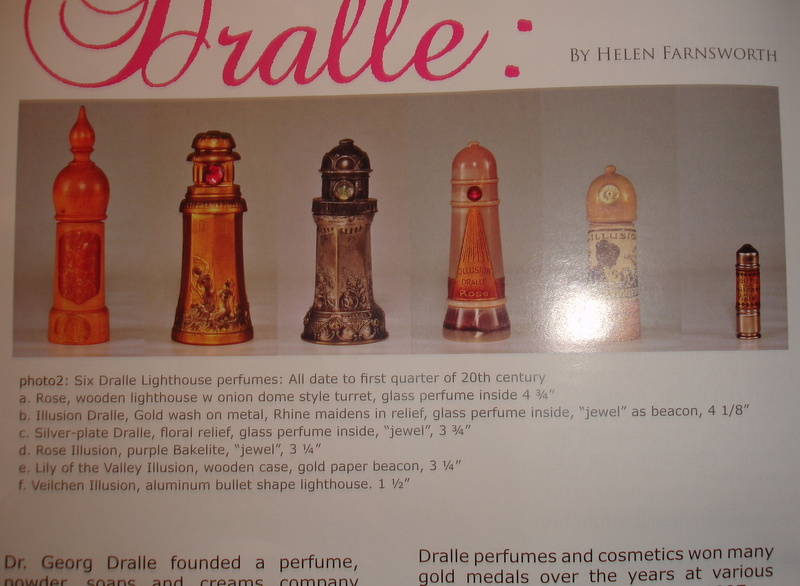 Dralle was just featured in the fall 2011 Perfume Bottle Quarterly magazine. See article showing this bottle. The Syringa fragrance is very rare to find.